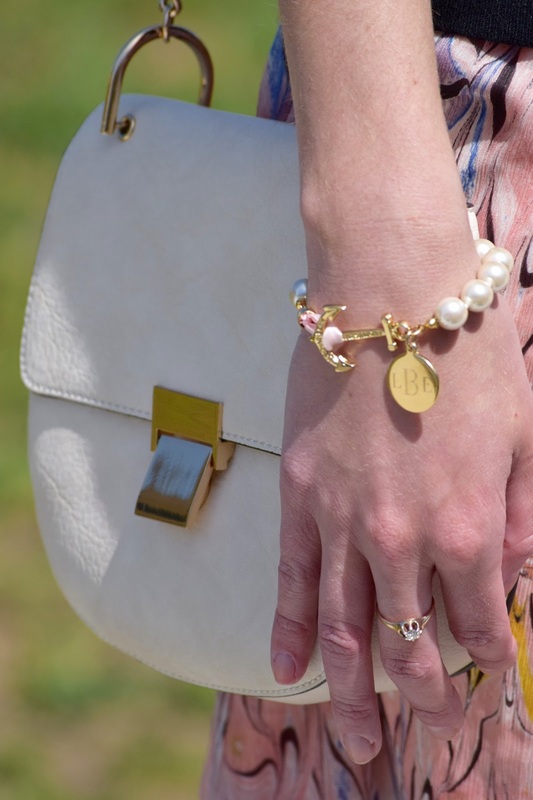 Pink, Pearls & a Monogram, oh my! @KJP ~ Roses and Rain Boots . Y'all, it's finally here! I am obsessed with this pearl bracelet. For starters, who doesn't love pearls?! 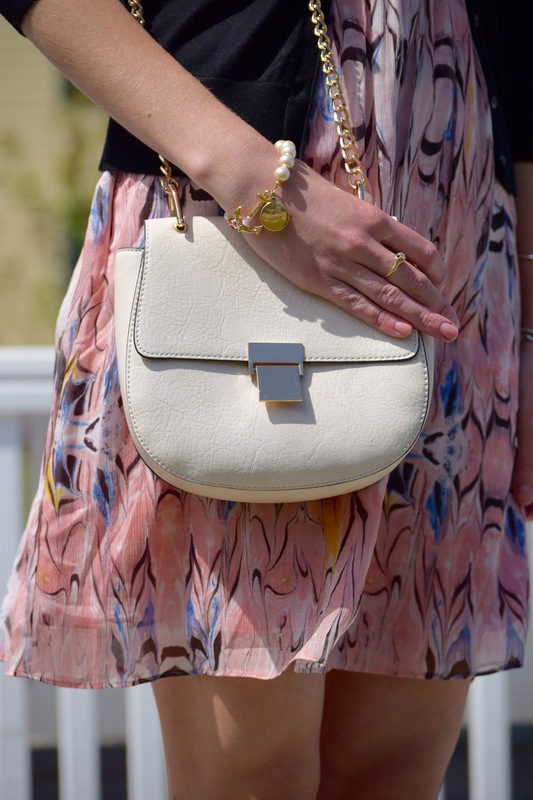 As co-desinger Sarah, from Kiel James Patrick, knows from her blog title "Classy Girls Wear Pearls," pearls are always a good idea. This bracelet is perfect for special occasions or dressing up a simple pair of shorts and a button down for a summer date. I was so excited to partner with Kiel James Patrick for many reasons. KJP is founded by Kiel & Sarah, probably the most adorable couple ever. 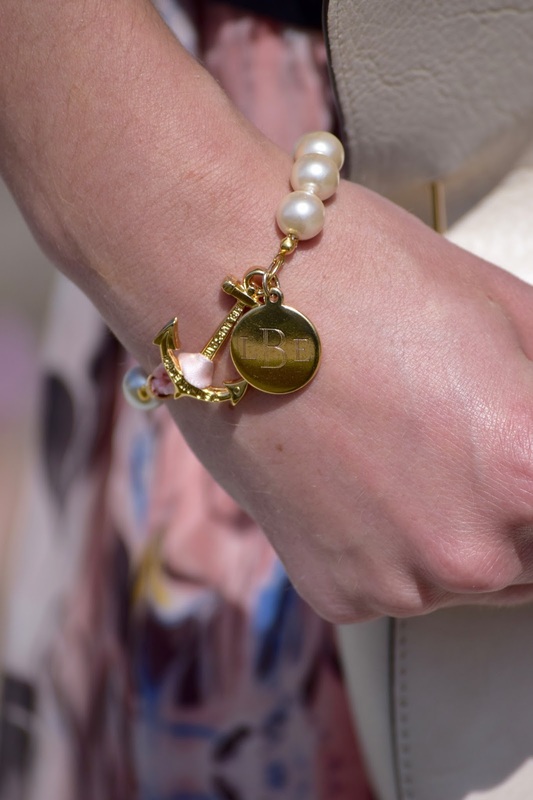 KJP is also a locally based company from Rhode Island. Having gone to undergrad in Rhode Island, I find the ocean and nautical accessories near and dear to my heart. The anchor clasp is the signature look of KJP. And in my opinion, I can't get enough of it! Although they are New England based, they get their design inspiration from also classical designs of tartans and stripes from England. Go English heritage, woot! woot! This bracelet is the perfect statement piece to add with your favorite spring dress. I've told you before I have a thing for pink, so of course, I grabbed my favorite pink flippy dress, simple cardigan, and Dolce Vita for Target wedge sandals. this bracelet was sent c/o Kiel James Patrick- thank you! Oh my goodness! KJP is life! I love Sara too! A lady I know is one of their retailers and she said Sara and Kiel are the nicest people. Oh my goodness I'm sure! They just seem so down to earth! Love them! Thanks girl! And they were under $30, they are totally my Tory Dupes! You're so adorable Rose (wink wink) I mean Lauren. Love this entire outfit! 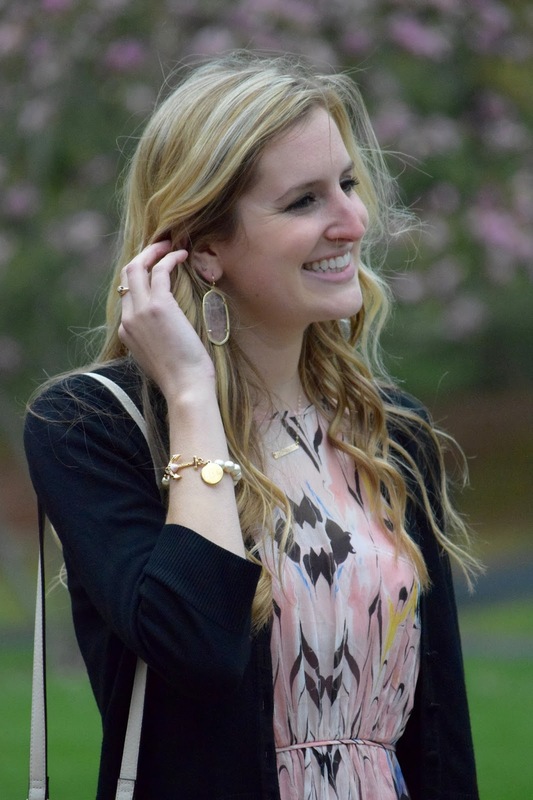 I love KJP & adore Sarah's style! We're totally twinning in those wedges too! You look absolutely adorable :) Happy Friday, babe! What a sweet look! I love that dress and those shoes and that bracelet is so pretty!